HG13. 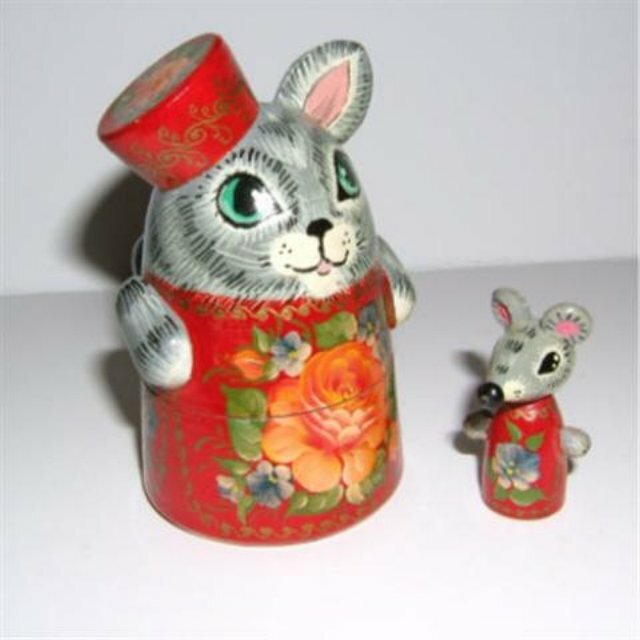 Russian Cat with Mouse 3"
From Russia, with love comes this Imperial Cat and Mouse duo - here sporting vivid floral robes. Royal red in color with orange flowers and decorated with glittery gold filigree. For cat-lovers around the world.